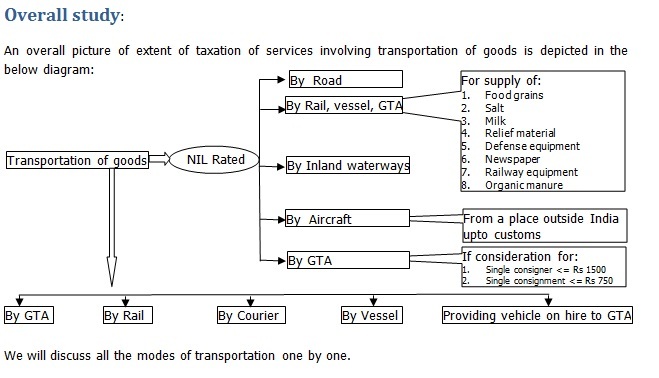 Manner of taxation of transportation of goods under GST » Sensys Blog. Timely and smooth transportation of goods play an important role in supply chain distribution system of any economy. Effective cost of transportation is important for pricing of a product not only from the point of view of consumer but for the economy as a whole. Effective cost of transportation has direct and immediate impact on the price of a product as well as GDP of the country. Here, we will discuss the manner and rate of taxation of transportation of goods within India. In all other permutation GST will be payable.